Puliyabaazi Hindi Podcast | Listen Free on Castbox. This Hindi Podcast brings to you in-depth conversations on politics, public policy, technology, philosophy and pretty much everything that is interesting. Presented by tech entrepreneur Saurabh Chandra and public policy researcher Pranay Kotasthane, the show features conversations with experts in a casual yet thoughtful manner. जासूसी एक ऐसा पेशा है जिसके बारे में न सिर्फ हम कम जानते है बल्कि अक़्सर सरासर ग़लत भी जानते है | फिल्मों में इस पेशे को इस तरह दर्शाया जाता है कि इंटेलिजेंस अफ़सर कई दिव्य शक्तियों के मालिक लगने लगते है | तो इस बार की पुलियाबाज़ी एक असली इंटेलिजेंस अफ़सर के साथ इस पेशे के बारे में | हमने बात की भारत की ख़ुफ़िया एजेंसी रिसर्च एंड एनालिसिस विंग (R&AW) के भूतपूर्व प्रमुख विक्रम सूद के साथ | यह चर्चा सूद जी की बेहतरीन किताब ‘The Unending Game: A Former R&AW Chief’s Insights into Espionage’ पर आधारित है | चर्चा में उठे कुछ सवाल: इंटेलिजेंस एजेंसी चार प्रकार के काम करती है - collection, analysis, dissemination, और operation| इन चारों को करने के लिए क्या ख़ूबियाँ चाहिए एक अफ़सर में? एक ख़ुफ़िया(covert) ऑपरेशन का मतलब क्या होता है? स्पेशल ऑपरेशन क्या होता है? भारत में ही नहीं पर पूरे विश्व में TECHINT की एक लहर आयी थी लेकिन अब CIA भी मानती है कि HUMINT को नज़रअंदाज़ नहीं किया जा सकता भले ही टेक्नोलॉजी कितनी ही अच्छी क्यों न हो जाए| ऐसा क्यों? 4. "इंटेलिजेंस failure" होता क्या है? आज ख़ुफ़िया एजेंसियों का ध्यान आतंकवाद पर केंद्रित रहता है | इसका एक इंटेलिजेंस एजेंसी पर क्या असर पड़ता है? ३० साल बाद की इंटेलिजेंस एजेंसी को क्या क्या करना होगा? इंटेलिजेंस एजेंसियों में सुधार कहाँ से शुरू किया जाए? Intelligence is one of the oldest professions known. Even the Arthashastra describes in detail the various methods of using spying as a tool of statecraft. And yet, enamoured by glorified portrayals of intelligence agencies on-screen, our knowledge about this discipline has many gaps. So in this episode we spoke to Mr Vikram Sood about the state of the profession today and the challenges faced by intelligence officers. Mr Sood headed India’s premier intelligence agency R&AW between 2000 and 2003. His book The Unending Game: A Former R&AW Chief’s Insights into Espionage is an excellent guide for understanding intelligence and espionage. During the course of this conversation, we discussed: How does the working of an external intelligence agency differ from that of an internal security service like IB, MI5 etc? What does the term ‘covert operation’ mean? How is a special operation different from a covert one? How important is the human element in the intelligence cycle? Can technology replace humans here? What is meant by an intelligence failure? What should be the essential elements of reforming intelligence agencies? Listen in! Twitter: https://twitter.com/puliyabaazi Facebook: https://www.facebook.com/puliyabaazi Instagram: https://www.instagram.com/puliyabaazi/ Subscribe & listen to the podcast on iTunes, Google Podcasts, Castbox, AudioBoom, YouTube or any other podcast app. 2019 मतदान क़रीब है और राजनीति की हवा किस दिशा में बह रही है, इस पर हर भारतीय का अपना एक मत तो ज़रूर है| अक़्सर लोग कहते हैं कि भारत में राजनीति विचारधाराओं से परे है ; वह केवल नेताओं के व्यक्तित्व, भ्रष्टाचार, या फ़िर जातिगत समीकरण पर केंद्रित है | पर इन आम धारणाओं में कितना सच है, इसी विषय पर इस हफ़्ते की पुलियाबाज़ी राहुल वर्मा (फेलो, राहुल सेंटर फॉर पॉलिसी रिसर्च) के साथ| राहुल और प्रदीप छिब्बर की नई किताब Ideology & Identity: The Changing Party Systems of India भारतीय राजनीति की संरचना पर एक गहन अध्ययन है | राहुल से हमने इन सवालों पर पुलियाबाज़ी की: भारतीय राजनीति की विचारधारा के स्तंभ क्या है? स्वतंत्र होने से पहले क्या सोच थी सरकार के समाज में रोल के बारे में ? स्वतंत्र भारत में क्या कहानी रही है? क्या वोट खरीदने से ही सरकारें बन जाती हैं? क्या जाति सबसे बड़ा फैक्टर है हमारी राजनीति में? नेताओं के व्यक्तित्व का क्या असर होता है वोटर पर? एक और मान्यता है कि काडर (संगठन) वाली पार्टिया सफल होती है | कितना सच है इसमें? २०१४ में जो नतीजा आया वह क्यों आया? The 2019 elections are around the corner. Instead of adding to the chatter on electoral predictions, we present an in-depth chat with Rahul Verma (Fellow, Centre for Policy Research) on the structure of Indian politics. Rahul is the co-author of Ideology & Identity: The Changing Party Systems of India, a book that challenges common assumptions that Indian polity is chaotic, clientelistic, corrupt, and devoid of any ideology. Instead, they claim that the most important ideological debates in India are centred on statism-the extent to which the state should dominate and regulate society-and recognition-whether and how the state should accommodate various marginalised groups and protect minority rights from majorities. Twitter: https://twitter.com/puliyabaazi Facebook: https://www.facebook.com/puliyabaazi Instagram: https://www.instagram.com/puliyabaazi/ Subscribe & listen to the podcast on iTunes, Google Podcasts, Castbox, AudioBoom, YouTube or any other podcast app. Ep. 34: हमारी राजनीति आख़िर ऐसी क्यों है? इस बार की पुलियाबाज़ी भारत के एकमात्र ग्रामीण, नारीवादी न्यूज़ चैनल - ख़बर लहरिया - के साथ | २००२ में स्थापित हुआ यह नेटवर्क अपनी बेबाक रिपोर्टिंग के लिए मशहूर है | तो हमने पुलियाबाज़ी की दिशा मलिक (मैनेजिंग डायरेक्टर) और कविता देवी (डिजिटल हेड) के साथ | पहले हमने बात की खबर लहरिया की सफलताएँ और चुनौतियाँ के बारे में | फ़िर हमने समझने की कोशिश की उत्तर प्रदेश के पिछड़े इलाक़े - बुंदेलखंड - को, ख़बर लहरिया के दृष्टिकोण से | This episode of Puliyabaazi is on India’s only women-run rural media network - Khabar Lahariya. Employing women from Dalit, tribal, Muslim and backward castes, the network has won several national and global awards for their pioneering rural journalism. We spoke to Disha Mullick, Managing Director and Kavita Devi, Digital Head from the Khabar Lahariya team about: How did Khabar Lahariya start? What have been some stages in KL’s development since it came into being in 2002? What challenges do KL’s women reporters face while investigating issues in a patriarchal society? How is rural Bundelkhand like? What are some changes that KL has noticed in governance over the years? सुनिए और बताइये कैसा लगा यह एपिसोड आपको| If you have any comments or questions please write to us at puliyabaazi@gmail.com Follow us on: Twitter: https://twitter.com/puliyabaazi Facebook: https://www.facebook.com/puliyabaazi Instagram: https://www.instagram.com/puliyabaazi/ Subscribe & listen to the podcast on iTunes, Google Podcasts, Castbox, AudioBoom, YouTube or any other podcast app. Ep. 32: IL&FS से DHFL तक - क्यों लड़खड़ा रहे हैं NBFC? 26 नवंबर 2008, मुंबई की दर्दनाक तस्वीरें आज भी दिल दहला देती हैं | इस हमले को अंजाम दिया था पाकिस्तान सेना के पसंदीदा आतंकवादी गुट - लश्कर-ए-तैयबा ने | इस हादसे के 11 साल बाद भी, हम कम ही जानते है कि यह संगठन शुरू कैसे हुआ, किस मक़सद से हुआ, और इसके हथकंडे क्या है | तो हमने की पुलियाबाज़ी प्रॉफ़ेसर क्रिस्टीन फेयर से, जिन्होंने हाल ही में इस संगठन पर एक किताब ‘In Their Own Words: Understanding the Lashkar-e-Tayyaba’ लिखी है | फेयर जार्जटाउन यूनिवर्सिटी में एसोसिएट प्रॉफेसर है और पाकिस्तान सेना पर किये गए अपने उल्लेखनीय शोधकार्य के लिए जानी जाती है | उनसे हमने इस आतंकवादी गुट एक संगठन के रूप में समझने के लिए यह सवाल सामने रखे: In this episode, we explore one of the most important nodes of the Pakistani military-jihadi complex: the Lashkar-e-Tayyaba (LeT). Our guest for this episode is Prof Christine Fair, a renowned voice on Pakistan security issues. In her latest book In Their Own Words: Understanding the Lashkar-e-Tayyaba, Dr Fair reveals finer details about LeT using publications produced and disseminated by Dar-ul-Andlus, the publishing wing of LeT. In this Puliyabaazi, we investigate LeT using organisation theory. What are their vision and mission statements? What keeps them together? How do they recruit employees? Who are their shareholders? And finally, what will it take to end this organisation? Listen in for an in-depth discussion on these questions. सुनिए और बताइये कैसा लगा यह एपिसोड आपको | If you have any comments or questions please write to us at puliyabaazi@gmail.com Follow us on: Twitter: https://twitter.com/puliyabaazi Facebook: https://www.facebook.com/puliyabaazi Instagram: https://www.instagram.com/puliyabaazi/ Subscribe & listen to the podcast on iTunes, Google Podcasts, Castbox, AudioBoom, YouTube or any other podcast app. Ep. 27: एक नई विश्व व्यवस्था के लिए भारत कैसे तैयारी करे? अंतरिक्ष खोजने की चाह हज़ारों साल पुरानी है। लेकिन अंतरिक्ष तक पहुंचने की क्षमता केवल सत्तर साल पुरानी है। और भारत उन चुनिंदा देशों में से है जिसने इस खोज में कई झंडे गाढ़े है। तो इस बार पुलियाबाज़ी में हमने भारत के अंतरिक्ष प्रोग्राम पर खुलकर चर्चा की पवन श्रीनाथ से, जो इस विषय पर काफ़ी सालों से शोधकार्य कर रहे हैं। पवन तक्षशिला संस्थान में फेलो है और थले-हरटे (कन्नड) और प्रगति (अंग्रेज़ी) पॉडकास्ट के होस्ट है। हमने इन सवालों पर बातें की इस एपिसोड में: 1. एक ग़रीब देश के अंतरिक्ष प्रोग्राम को स्थापित करने की सोच कहाँ से शुरू हुई? 2. किस तरह यह प्रोग्राम दिल्ली से दूर कई राज्यों में वितरित रहा। 3. उपग्रह और लॉन्च वेहिकल - इन दोनों घटकों पर इसरो का प्रदर्शन कैसा रहा है ? 4. SpaceX जैसी निजी संस्थाओं ने इसरो के सामने क्या चुनौतियाँ रखी हैं? 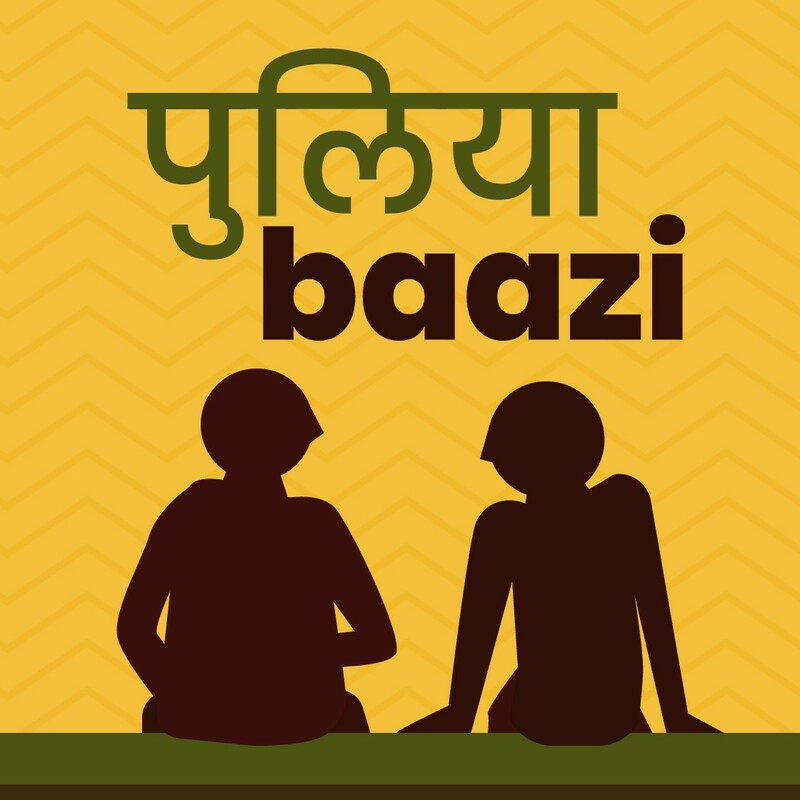 सुनिए और बताइये कैसा लगा आपको @puliyabaazi या फिर puliyabaazi@gmail.comपर। In this episode of Puliyabaazi we take a close look at India's space programme with Pavan Srinath, fellow and faculty at the Takshashila Institution and a host of Thale-Harate and Pragati podcasts. We discussed the impact that space research has for an aspirational society and why the argument 'poor nations shouldn't spend on luxuries like space exploration’ makes little logical sense. We then move on to discuss the beginnings of India's tryst with space. Pavan then takes us through the two components of the space programme - satellites and launch vehicles. Do let us know in puliyabaazi@gmail.com if you have any thoughts to share. 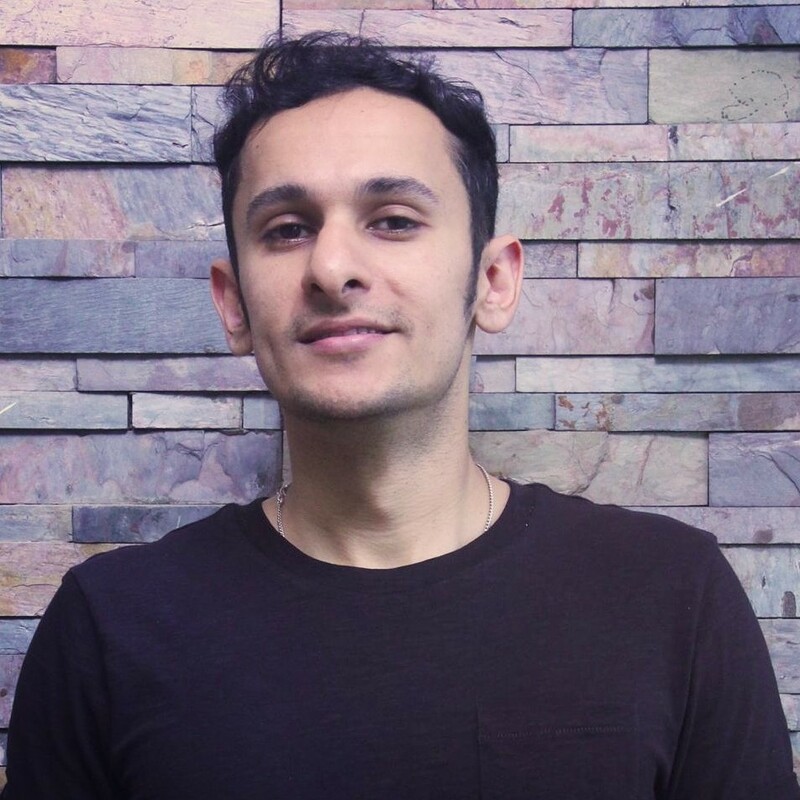 Nitin sharma We release an episode every alternate Thursday, Nitin. bhai thoda jaldi Nikal Dia karo episodes. you are back after long time. great come back. please publish show twice in week..
Maksood Ansari shukriya Maksood. We'll keep improving. Great introduction to the topic ! You both doing excellent job. Keep on doing it. I love the topic related to Indian history. Mostly topics are India centric. Global topics can also be appreciated. Ill like to hear from you info on different Indian states, Indian & world legends. Pls don’t stop keep going, as puliyabaazi is now a Habit. ashish khorgade thanks Ashish. Dil khush kar diya aapke comment ne. Koshish jaari rahegi. ऐसे विषय को अपने प्रोग्राम के शामिल करके आपने बड़ी साहस दिखाई, धन्यवाद् !! 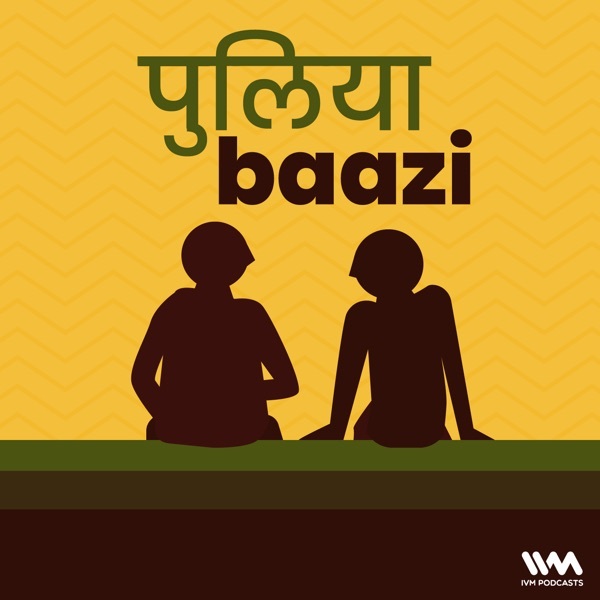 Love this podcast - I hardly enjoy any hindi content, but this podcast is an exception. Hosts always select interesting and relevant topics and don't over simplify the discussion, and hence always get to learn something new. Episodes on China and Ambedkar are specially worth mentioning. Abhinav Saxena शुक्रिया अभिनव। और कोई विषय जिसपर पुलियाबाज़ी सुनना चाहेंगे आप? insightful conversation!! i would have loved if you had discussed something about the book "worshipping false gods" too (from Shourie). Sahil Verma hi Sahil. So happy to see this message. We will keep trying. bahut himmat dikhai bhai ye video bna ke aapke video me ek jagah pucha gya hai ki daliton ne cow eating kyu nhi choda ? because unhe jinda rhne ke liye us time koi aur option hi nhi tha, unhe dead animals ke meat khane pdte the even animal ke gobar me se anaj nikal ke khane pdte the..koi vegetarian chiz nhi available thi. Shashank Kumar shukriya! Thanks for your comment.